It is with joy that I bring you the news of the May 2017 PCP Team trip to the Democratic Republic of Congo! 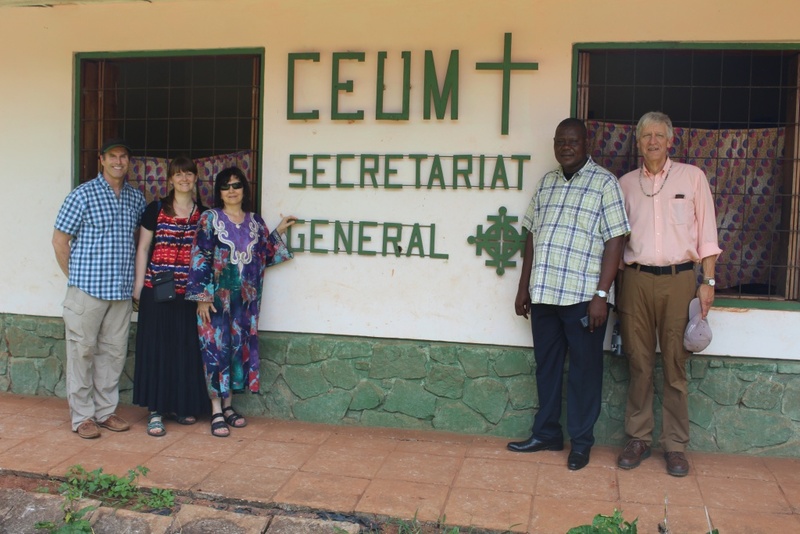 Renée, Becky and Craig, along with the PCP Chairman of the Board, Tom Verdoorn, traveled to the DR Congo May 13–26, 2017. Thank you for your undergirding prayer support as we traveled and worked with our Congolese partners. We spent our first few days meeting with the Covenant Church of DR Congo’s leadership team in Kinshasa. This set a good tone for our team, along with their team, to travel to Gemena, Karawa, and Bogose-Nubea to visit hospitals, clinics, projects, and meet with people along the way. We also enjoyed fellowship and meals with Congolese leaders and their families. Experiencing the blessing of “being the body of Christ” (see Ephesians 4:11-13) with our Congolese brothers and sisters inspired us to persevere in the work that PCP’s mission advances through the generous giving of our donors. Many thanks to you! We saw with our own eyes the importance of clean water for hospitals, clinics and communities. We were able to visit two hospitals and several clinics, see several PCP bridges, as well as one of the newly capped clean water sources (spring). The beauty of clean, flowing water seemed magnified in that setting—starkly contrasted to the unclean sources we encountered. The PCP team and our Congolese partners shared God’s blessings of encouragement, cultural insight, spiritual growth, team bonding, and productive work together towards a positive future for ministry through our partnership. Now it’s time for consistent follow up, as we remain diligent in communicating, uphold good operating principles, and work together for best outcomes. Again, thank you for responding to God’s leading as you support PCP! Posted in Congo travel, PCP Update.